Ambitious fare a step ahead of the usual Italian dishes. This is the real deal Italian food. In Short- At the lunchtime pasta bar, a long line of St. Paul office workers snakes around the restaurant. At dinner, the Pasta bar is also available But the gold medal has to go to the Gamberoni Portofino. How can you go wrong with jumbo shrimp sauteed with portobella mushrooms and asparagus spears in a brandy cream sauce. INCREDIBLE! With live music on Friday and Saturday, the mood is as relaxed and romantic as the women in the Leonardo da Vinci prints hanging on the wall. For lunch, the recommended Focaccia Genovese is juicy, savory and garlicky. The Mushroom ravioli is above average, but the star dish is the Parmesan-crusted cold water walleye. "simply beyond the ordinary" "****" - Kathie Jenkins - Saint Paul Pioneer Press Downtowner Woodfire Grill specializes in Persian fire roasted meats, grilled steaks and chops, and gourmet wood-fired pizzas. 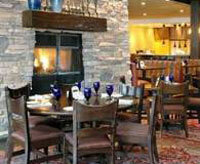 The atmosphere is warm & lively offering 2 fireplaces, a full bar with 3 fountains and live jazz. 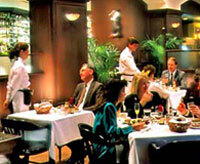 The restaurant offers free parking with convenience to both the Xcel Energy Center & Ordway Theater. 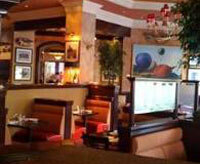 Downtowner Woodfire Grill also provides a full menu for breakfast & lunch, and a children's menu. 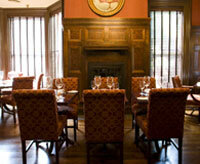 This cozy restaurant serves a great plate as well as provides an experience to savor. Forepaugh’s Restaurant is located in a beautiful Victorian mansion in the lovely Irvine Park area of Downtown St. Paul; a stones throw from Excel Energy Center and the Ordway Center for the Performing Arts. The building itself is a gorgeous, multi-functional (read: wifi), state of the art venue disguised as a charming, quaint and thoroughly authentic Victorian mansion. The seven intimate and artfully decorated dining rooms straddle the past and future gracefully, featuring both period décor and brilliantly conceived, cutting edge New American Cuisine. The wine list is expansive and supported by a wine cellar/chef tasting room that is available for small, intimate gatherings. 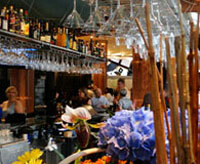 The bar, comfortable and cozy, --featuring the finest in distinctive liquors and specialty drinks. And the service is excellent. 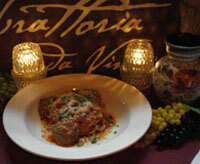 Join us for a big night or a cozy romantic dinner. 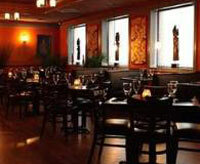 Business groups, rehearsal dinners, wedding receptions and parties of any shape or size are encouraged.